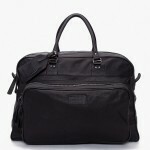 Dsquared2 encourages you to carry your purchases in style with this fantastic shopping bag. 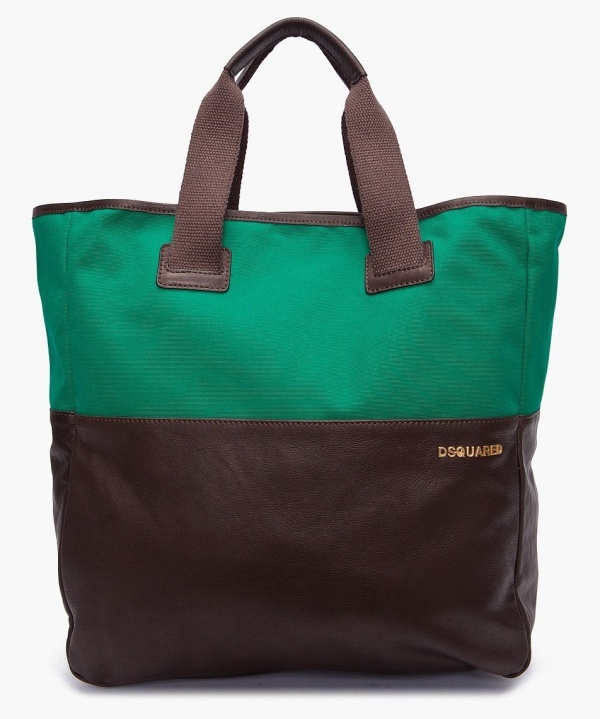 Consisting of brown textured leather and contrasting bright green canvas, the bag features gold tone logo hardware at the front, and leather and canvas carry handles. Lined in blue, the Italian-made bag is available online.